A LoyaltyLobby reader forwarded me an offer (remember to send these by email) that he had recently received from IHG Rewards Club. 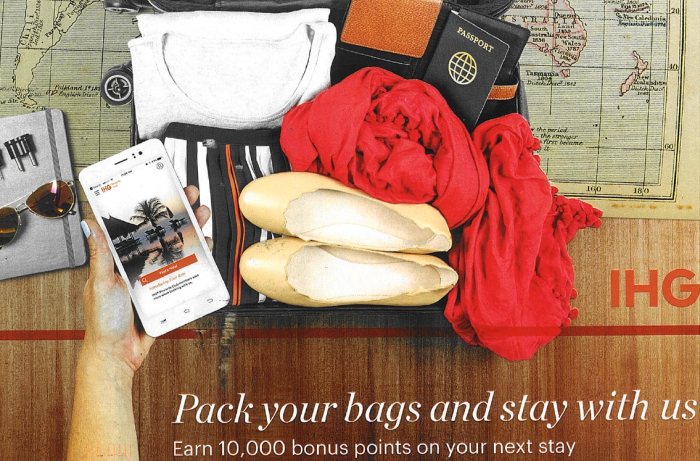 IHG Rewards Club was offering 10,000 bonus points for a paid stay that is consumed within 90 days of signing up for this offer. You try your luck signing up for this offer on IHG’s website here. Good to know that IHG Rewards Club still continues offer these one time bonuses that were prevalent few years ago (and got some accounts frozen in the process). Seems that IHG Rewards Club is here trying to get Platinum member to stay again that hasn’t had any activity with the chain for a while. IHG used to offer 3,000 to 5,000 bonus points for a stay. They have now upped this rightfully so to 10,000 points (with the points inflation).